Great design is timeless. Just ask Anders Hermansen, who penned the basic design of the BeoPlay Earset in the 1990s. Using a moveable hook set atop a height-adjusting piston, they allow you to adjust the angle of the earbud, ensuring a comfortable fit. The frame is made from durable anodized aluminum, while the drivers sit inside vented cabinets for optimal sound quality. There's also a three-button remote and mic combo on the cord, a USB-C rechargeable battery that lasts up to five hours per charge, and an included carrying case. Width: 1.57" / Height: 2.17" / Depth: 0.94" / Weight: 1.06 oz. Blocking out external noises is one of the best ways to increase your enjoyment of music and movies. So is keeping the sound from your headphones in your ears. Normal Suit Headphones accomplish both with custom-fitted "dots" made from soft silicone that ensure an ideal seal. A five-way articulated design allows the phones to adjust to your body even further, with an arm to help keep them in place during activity and integrated USB that can plug into pretty much any open port for charging. Available in black or brown hand-stitched Napa leather, they offer eight hours of battery life and are also available in a silicone Sport edition. Forget powders, pills, or shots — the fastest, most reliable way to boost your athletic performance might be inside your skull. The Halo Sport Neuropriming Headset uses pulses of energy to improve your training. Called neuropriming, it lets your motor cortex send stronger, more easily read signals to your muscles, so more fibers are activated with each rep, and strength is gained faster. Used in conjunction with specially designed workouts, it can also help with the learning and sharpening of skills like swings, kicks, and throws. 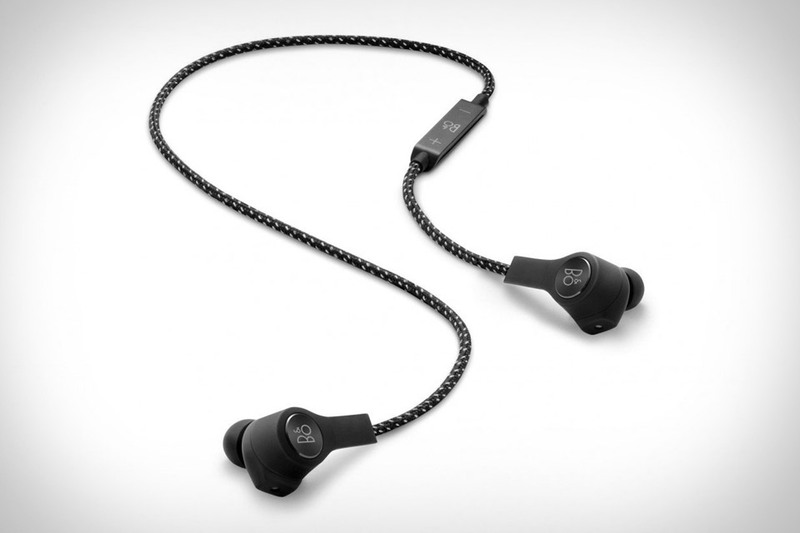 It connects to your phone wirelessly, and also works as a pair of Bluetooth headphones, so you don't need to take them off once the priming is done and training begins.